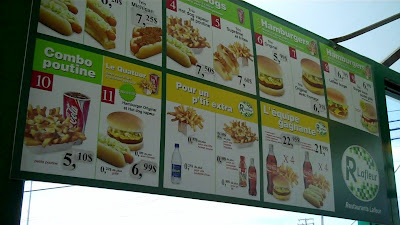 Just after Little Miss and I went to Top Dog, the whole gang motored up to Montreal for a family barbecue. 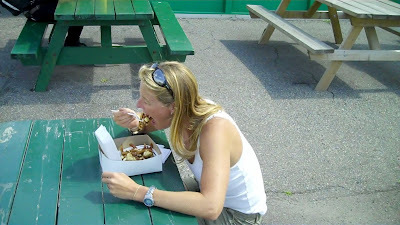 Mrs. HDM and I decided to do a Hot Dog Story while in Downtown Montreal last Saturday before the cookout. We planned to do two more on Sunday, but unbeknownst to us at the time- Irene would quash that. 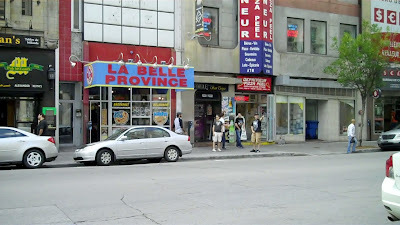 We stopped at La Belle Provence, a Canadian franchise that serves very good poutine (Mrs. HDM's favorite food). Unfortunately, the manager at La Belle Provence was "un sot" and didn't want us to film in his ristorante. What a DB. He was acting like the place was a five star joint or something. So we motored to a Lafleur near where we were staying. 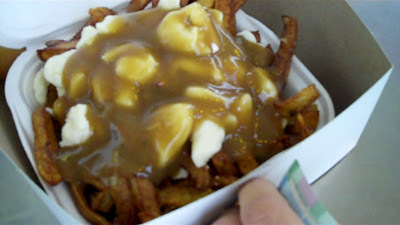 They have lots of hot dog fare and good poutine too- I've actually done a Hot Dog Story there before. This location featured a fine patio dining area- perfect for a glorious Quebec morning. The menu features a variety of fast food options, but "la specialte' de la maison" is a Michigan Dog. 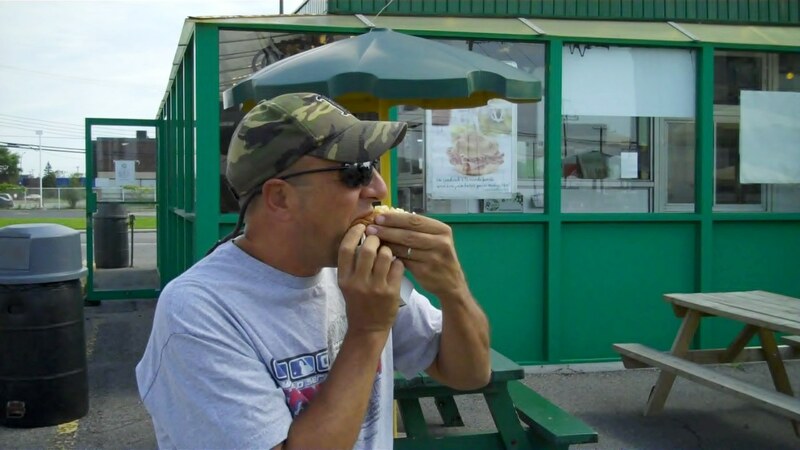 Frequent readers of Hot Dog Stories will know the history of Michigan Dogs from Marlboro hot dog truck operator Alan Archibald (a greater Montreal native) of Archie's on a Roll. Lafleur's started on Avenue Lafleur in Montreal in 1951 as a Hot Dog Truck. 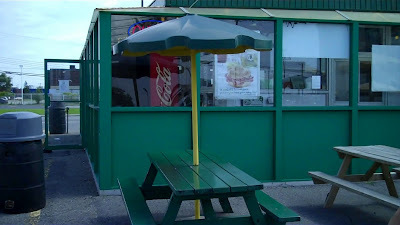 In 1961, owner Denis Vinet built a permanent stand at the location and named the restaurant after the street on which it was located. Since then, they have grown to over 13 locations and over 200 employees. 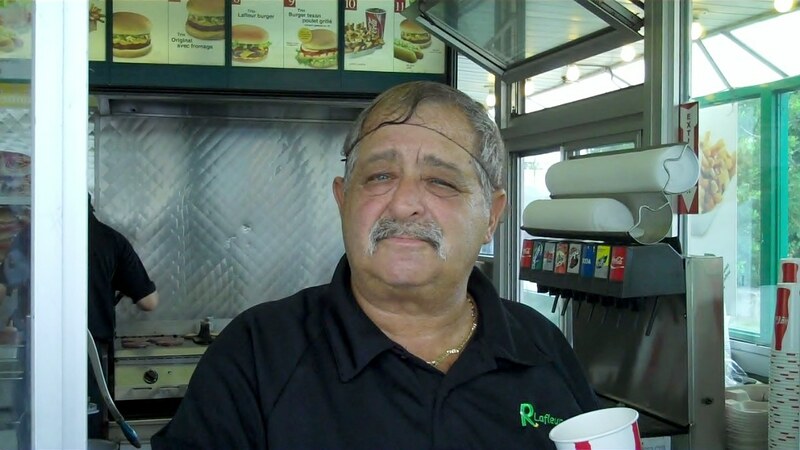 They make their own meat products and offer franchises. 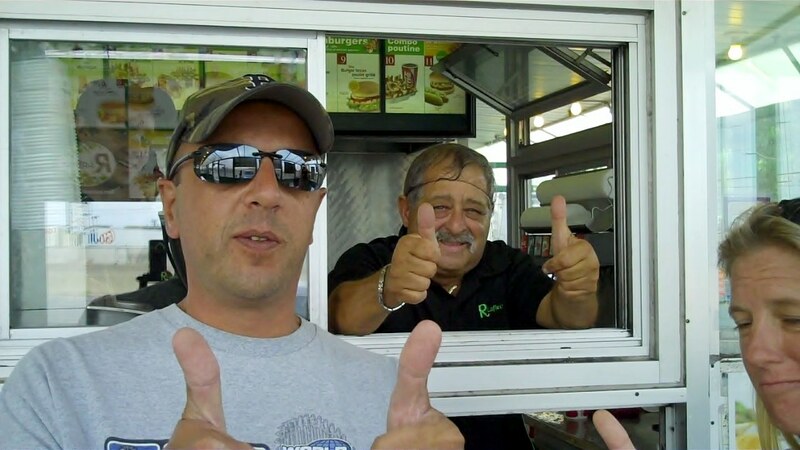 Lafleur is a true success story in the Hot Dog business. 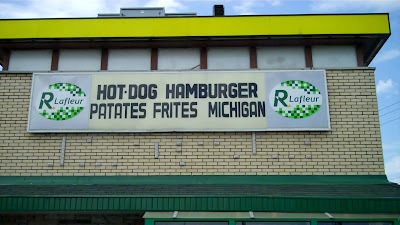 The proprietor of this Resto Lafleur was delighted to have Hot Dog Stories there- he was very accommodating and had lots of fun with it. We shot most on the story in French! I added a Michigan Dog to the mix. Unfortunately, we were unable to get to a couple of other HDJ's due to time constraints and Hurricane Irene. We'll hit some other places up in subsequent visits- PROMISE! If you're anywhere in Quebec and you're hankering for a hot dog, stop by the local Lafleur and tell them "L'Hotdogman m'a envoye'." 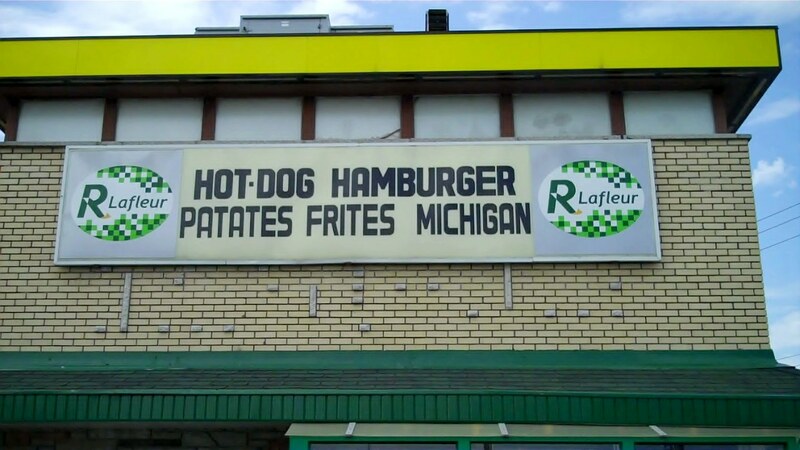 Get the whole story on Hot Dog Stories. Hi Hot Dog Man, just wanted you to know how much I enjoy your stuff. I live in fairhaven though I am originally from Fall River. 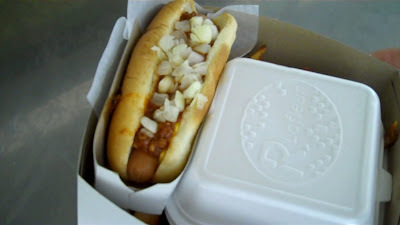 I have eaten at nicks since I was a little boy and still drive there at night for coney's and fries. I also fish (rod and reel) though time is a factor. I wanted to let you know, also that there evicting Naughty Dogs here in fairhaven and the whole town is very sad. I saw that in the paper last weekend- I am gonna post about it.